Surrey’s Best Builder Competition - Nominate Now! Are you based in Surrey? Have you come across a builder who went above and beyond to give you a brilliant service? Or, are you a builder who has done something exceptional this year? 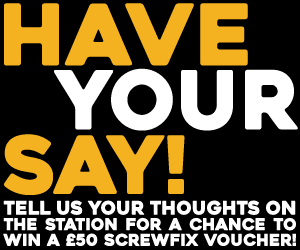 If so, Fix Radio wants to hear from you! 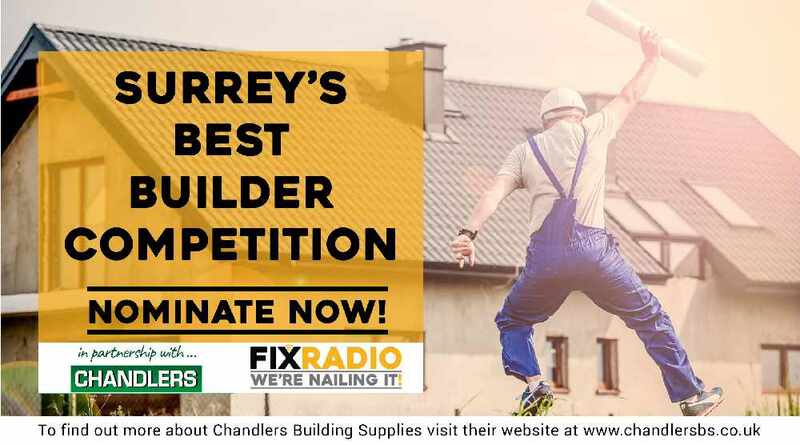 In partnership with Chandlers Building Supplies, Fix Radio has £1000 (yes £1000!) worth of vouchers to spend at Chandlers stores to give away in this year’s ‘Surrey’s Best Builder’ competition. We’re looking for someone who deserves to be rewarded for their expertise, their dedication, their energy and their amazing service with this fantastic prize, and we need your help. Simply fill out the form below with the details of your nominee and why you think they deserve to win and the experts at Chandlers will review your nomination before announcing the winner on the Tuesday 10th October. The deadline for nominations is Friday 7th October, so get them in early to ensure you or your super builder isn’t forgotten and doesn’t miss the chance to be crowned Surrey’s Best Builder.